Happy 201st Birthday Mr Dickens! Yes, not as glorious as the 200th but what can we do. I have chosen A Christmas Carol as the token birthday review post because it is a glorious little book. I have read a couple others of his but my opinion of Bleak House is not one wants to read about on such a joyous occasion, and for many years turned me off reading any more I am afraid. We will slowly come back to him because I understand he is wonderful but sometimes you need a long break to recover. Much rather stick with the ones that make me smile for now. Let me just start by saying I adore this book. Absolutely adore it. Ever since I was a kid I have loved this story, and while I may not have had the real book to begin with, some of the film adaptions are fairly awesome as well, though there are some exceptions. A Christmas Carol is about a man called Ebeneezer Scrooge who hates everyone and loves money. Every one knows this about him and every one dislikes him for it. The focus of the narrative is that one Christmas Eve Scrooge is given the opportunity to change his ways with the help of an old friend, whether he likes it or not. When the clock strikes one is when it all begins. Dickens starts the story already filled with mystery and intrigue and you are instantly drawn into the story. People say that this story is about the true meaning of Christmas and how important it is to love your fellow man and it is, but there is also the simple pleasure and fascination in seeing how a person’s life and actions, and how others around him behave, influences and changes him. There are supernatural elements to this certainly and it is done in such a good way and so cleverly. In an attempt to change Scrooge’s behaviour, he is forced to visit the past, present and future, each having a particular influence on him. 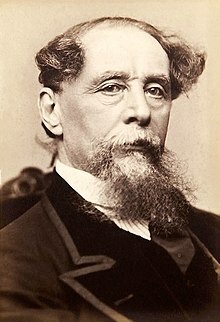 There are classic quotes taken from this book and Dickens has done an excellent job in not making the story seem rushed, unbelievable or too extravagant. It has just the right balance to create realistic characters who are detailed and have depth, but also, as he is great at, creating a world that is so reflective of the era and the true Victorian life. There is a lot more explained in the novel than in the film versions, you get a deeper insight into how Scrooge became who he was. This I think does not necessarily make you pity him, but you understand why he is what he is; though that really offers no excuse to his actions either. This story has probably been adapted into every television show or movie in some way, shape or form, but for all of its over exposure it really does never get old. I think there is nothing really wrong with going to a book from a film, some instances it could work out well. If you have seen the movie and you go ‘I rather enjoyed that, oh there’s a book is there. Let’s see if it is just as good’, well then that’s great. Because there are so many variants of this film that cover from Mickey Mouse, The Muppets, Mr Magoo, The Simpsons, not to mention included in a range of television shows, you are certainly going to get exposed to this story in some form, and if that directs you to the book than what harm has it done. I know at the end of the Muppet Christmas Carol Mr Dickens himself (aka Gonzo) tells you to read the book if you enjoyed the film. I make a point of reading the book every December and I could reread this book a million times over and fall in love with it every time. A true classic, and I think despite the setting it is a timeless and wonderful story. I can recommend some lovely books that include singing but alas no, no singing in this. And if Scrooge was doing the shuffle he wasn’t doing it anywhere near the storyline. Am I to understand that there is no singing or dancing in the book? If so, I feel particularly betrayed by the film industry.